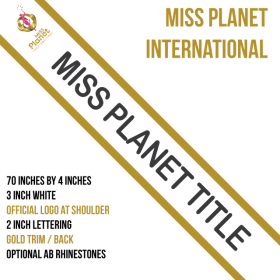 We include the official Miss Planet Internation logo to make this beautiful sash. Gold trim and dark grey lettering to match the logo. Please contact us BEFORE placing the order if you want to change the overall design. United States - USPS Priority Mail is included in the price. INTERNATIONAL SHIPPING IS AVAILABLE!!! Please contact us first to find out pricing. This order form was specifically designed to be quick and easy. But, if it does not give you the options you need, please feel free to contact us. 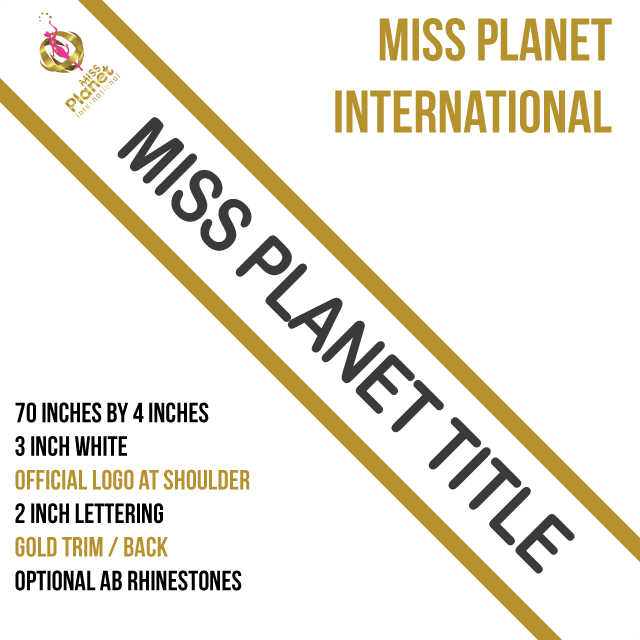 We make a lot of custom sashes and are confident we can get you exactly what you need.